If you and your spouse have exhausted all of your other options and are now headed for court, a contested divorce attorney can help you wade through the highly complicated process of going to court and managing your case. By utilizing the services of an experienced divorce litigation attorney like Kathryn A. Gilbert, you can remove many barriers that may be blocking your efforts to quickly move toward the dissolution of your marriage. Laws, the complicated and sometimes unsettling process of filing for divorce, and of course the entire proceedings themselves are not easy to navigate, regardless of whether you live in Bergen County, NJ or anywhere else in the state. There are several grounds (reasons) for divorce in New Jersey, but if one party wants a divorce the other party will not be able to prevent it. Also the 'fault' does not get either party anything more or less from assets and support except in the most egregious cases. 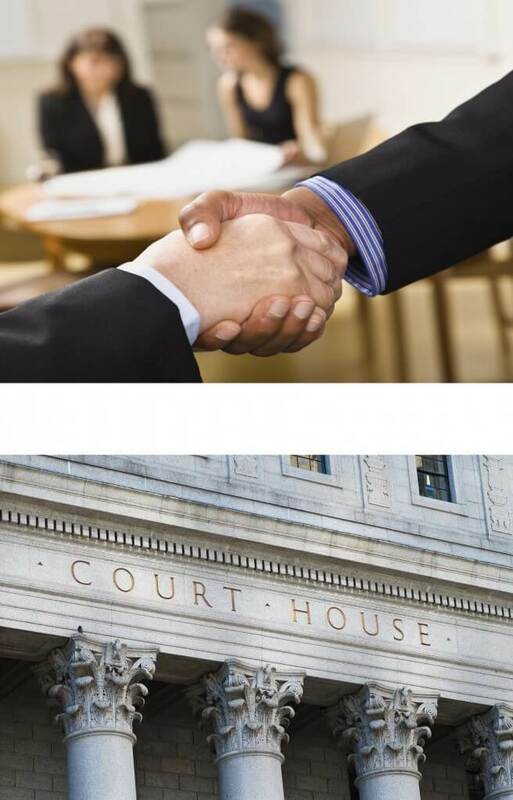 Not all settlement proceedings involve straight forward issues and they require the help of a qualified trial lawyer who knows the ins and outs of your legal rights, has handled difficult divorce cases in the past, and can offer you the experience of a well-established divorce trial attorney. Litigation may also be necessary however if you have a completely reluctant spouse for example, or there are emergent issues that cannot otherwise be resolved, whether they pertain to your children, spousal and or child support, immediate and irreparable dissipation of assets, or if you believe that you are otherwise unable to work with your spouse toward the dissolution of your marriage. Allow Kathryn A. Gilbert to serve as your trusted contested divorce attorney, a lawyer with the experience and knowledge to match any top divorce litigation attorney in the industry, who strives to pay close attention to the personal details of your case do her best to help you achieve your goals in the most effective way possible. It enables the divorcing couple, not a judge, to determine the terms of their settlement.It encourages mutual respect.It focuses on the needs of the children. It keeps private information out of the public domain, unlike in a traditional divorce. It usually costs less and takes less time than a traditional litigation. It establishes a team approach instead of adversaries. Your lawyer supports you; your spouse's lawyer supports your spouse. But you all work together in formulating resolutions to your marital difficulties and, in doing so, retain control of the process. Nothing gets resolved in a collaborative process unless you agree to it. In matters requiring expert opinions, both parties can jointly hire one independent consultant. That helps shorten the duration of the case and reduce the overall expense. You and your spouse shape the agreements together -- which means you both are more likely to abide by them in the future. Such an arrangement diminishes the parental conflict the adversarial litigation system tends to generate, and helps protect children from facing the anguish and divided loyalties that result from going to "war". You can schedule meetings with all parties without waiting for court dates. That means you generally spend less time and, as a result, less money to achieve your goals of emotional and financial closure. It also means you eliminate the fear and anxiety associated with court proceedings. First, both spouses meet with their respective Collaborative attorneys to discuss individual needs and concerns. Then, the couple and their attorneys meet in a series of four-way sessions to reach a settlement without involving the court. Every issue - including property division, parenting time allocation, and financial support - are discussed in these sessions. At times, on an as needed basis, other professionals including Mental Health Professionals and Financial Experts may become part of the “team” to assist couples in reaching amicable resolutions. Divorcing parties benefit from the skills, advice, and support of attorneys and other professionals experienced in the collaborative process while striving to work things out in a positive, future-focused manner. When a settlement is reached, attorneys file the appropriate paperwork required by the court, and the divorce is then finalized on an uncontested basis. Your issues stay within the collaborative law setting. That gives you more privacy and greater confidentiality -- and less stress during an already stressful time. Collaborative family law focuses on all involved parties reaching a mutually agreed upon settlement of their disputes. The process results in valuable benefits, such as, the ability to continue to communicate with your spouse for the benefit of the children at the conclusion of your divorce. It creates a cooperative environment where communication remains open, which provides a setting where you can work with your spouse to meet your children's needs -- regardless of their ages. That helps set a tone for open communication and reduced conflict in the future. Divorce is a life-changing event for you and your family. During this time of high stress, you may have some of these or related concerns: How can I protect my children's best interests? How can I maintain control of the process and get a fair outcome? How will I get through this experience safely? A Collaborative Divorce Team, with both attorneys and mental health professionals, offers the support and expertise to guide you to the best possible outcome, allowing everyone in the family to move forward. Most, if not all aspects of getting a divorce, have the potential to stir up deep feelings which need to be understood so that they do not negatively impact the outcome. It is not for everyone, particularly parties unwilling to negotiate. If a settlement cannot be reached, the couple's attorneys are required to withdraw from the case, and the parties would need to hire new attorneys to bring their case to court.